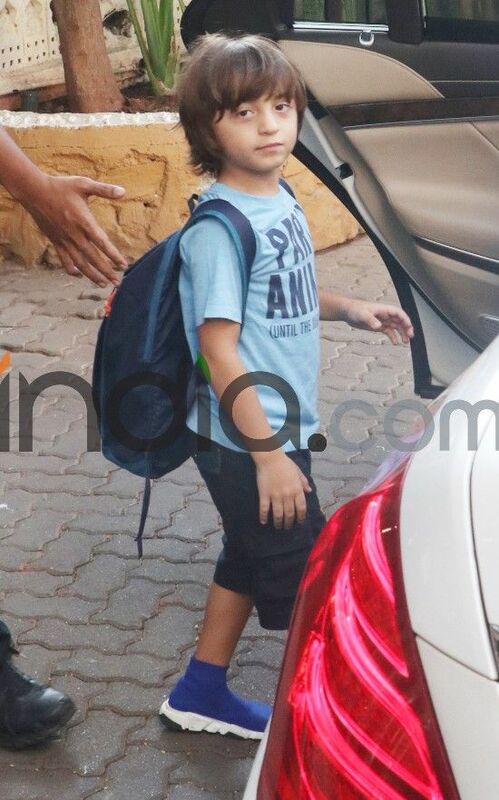 Shah Rukh Khan son AbRam Khan is breaking stereotypes by donning this cool pair of shoes while on an outing with his mother Gauri Khan. Earlier today, this little one was spotted with his mother outside designer Monisha Jaisingh’s store in Mumbai in his cool avatar. 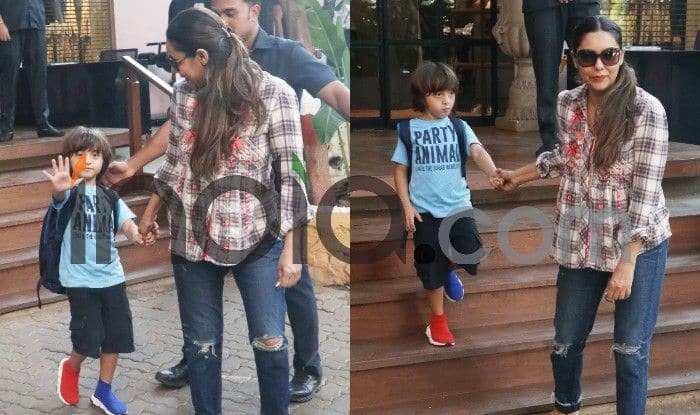 Gauri and AbRam were spotted hand-in-hand outside the store in their casual wear. What will drag your attention is AbRam’s mismatched pair of blue and red shoes. 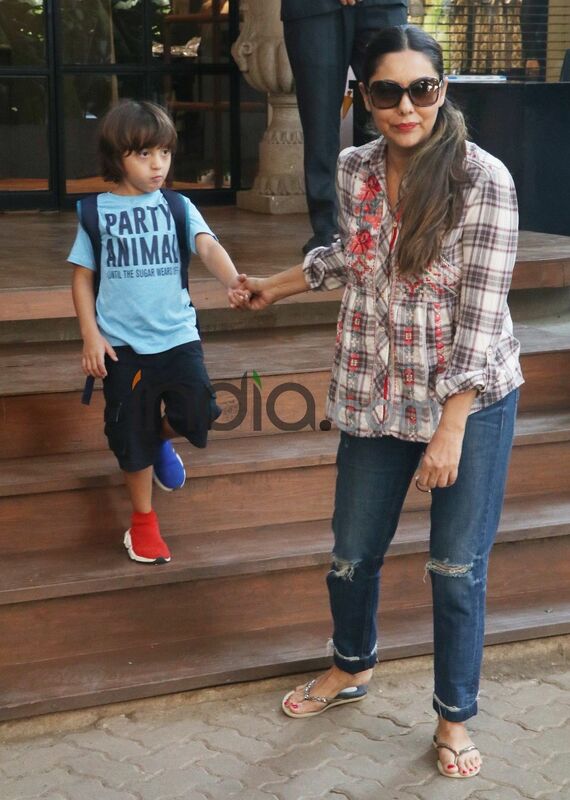 Gauri donned a checked shirt which she teamed it with a pair of ripped jeans and slippers. Her son AbRam kept it cool and casual in his blue t-shirt, shorts and mismatched sneakers. 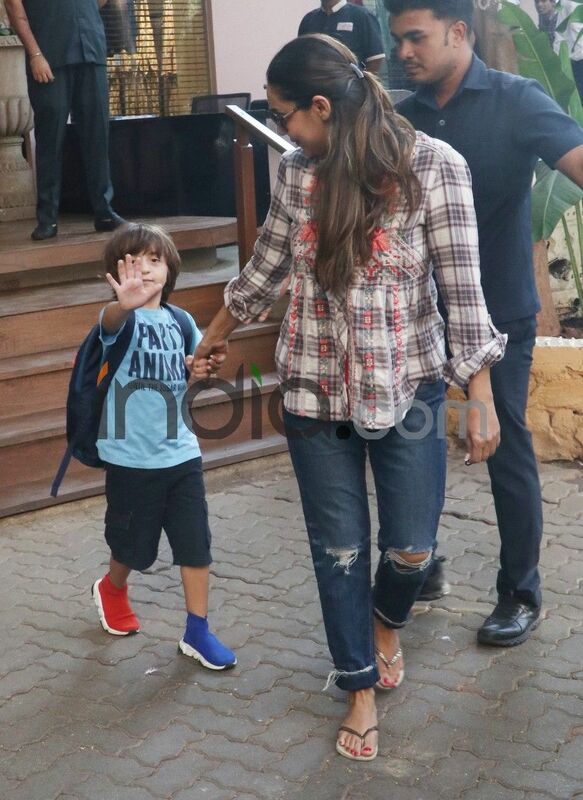 Waving away to the paparazzi, AbRam looked adorable with his backpack on. 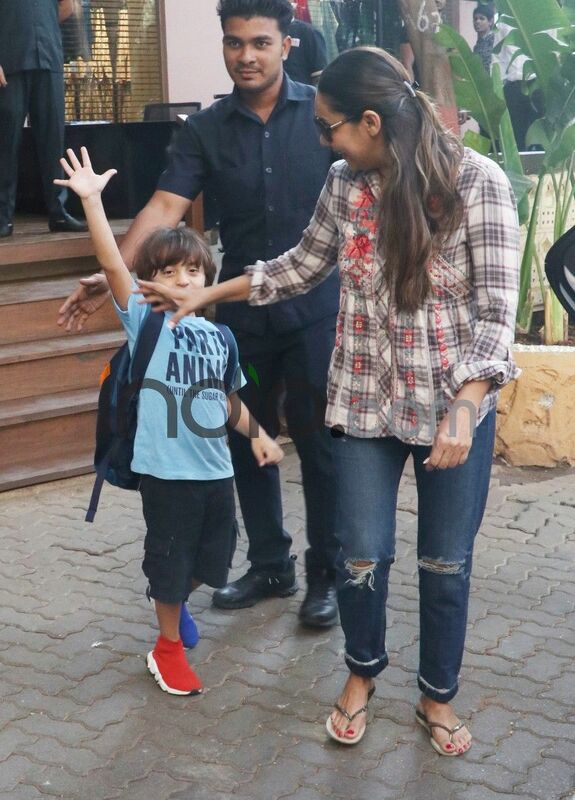 While the little kid threw his hand in the air to wave at the shutterbugs, mommy Gauri could not stop smiling at his actions. A few days back, Shah Rukh shared pictures of his son Aaryan Khan and AbRam on social media. In one picture, one can see Shah Rukh and son AbRam looking closely at something that looks like a report card. In the other, the two brothers can be seen relaxing on a sofa and sketching on a sketch board. These two pictures are so cute that it can make anyone’s day. Sharing the pictures, the Zero actor captioned it, ““Winning is only half of it..having fun the other half…Playing is All of it! !” The Playboys’ mantra”. The actor added a feather to his acting success in Bollywood with his recently released movie, Zero, where he was applauded for essaying the role of a dwarf who hails from Meerut. Even though the movie could not perform well at Box Office, Khan and his co-stars Katrina Kaif and Anushka Sharma received accolades for portraying challenging roles. The movie was directed by Aanand L Rai.